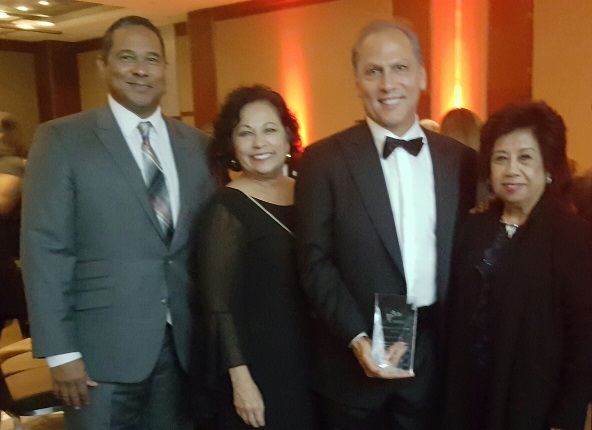 October 26, 2016 - Osceola Consulting wins National Supplier of the Year Award for outstanding business performance and community service from the National Minority Supplier Development Council at the Organization’s Annual Conference in Chicago. 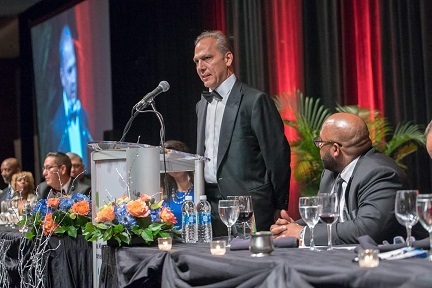 Kevin Narcomey addressing more than 1000 attendees at the Awards Gala after receiving the National Supplier of the Year Award at the NMSDC 2016 Annual Conference. Kevin Narcomey holding the National Supplier of the Year Award, with (left to right) Joe Chow and Yolanda Padilla - SoCal Gas, and Virginia Gomez - SCMSDC.